Ziyen Inc. Rebrands for the Markets - Ziyen Inc. The division has secured its first oil and gas contract in the Midwestern United States, orchestrated by Ziyen’s Oil Intelligence Director- Shane Fraser. Fraser is a highly experienced oilfield engineer with over 28 years’ experience. He has 21 years working for Royal Dutch Shell in the North Sea and Syria, before going on to deliver technically challenging brownfield and greenfield projects for several other multinational oil companies. The bold, new logo and corporate brand evoke a cleaner, more contemporary approach as the company looks to target and expand within the energy market of the U.S. The rebrand also reflects evolution within Ziyen Inc. their commitment to utilize the latest sustainable technological advances for energy production, software solutions, and content management. For the Ziyen Intelligence division, the new logo underscores the company’s long-standing aim to develop streamlined technology and facilitate the process by which customers can access procurement information and contracts on a global scale. 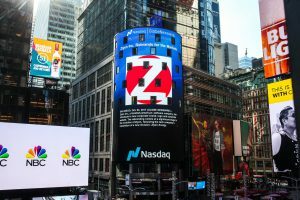 Founded in 2016, Ziyen Inc. is a Scottish-American company developing cutting edge procurement software to provide clients with industry specific government and private contracts via procurement portals. In 2017, Ziyen diversified, instating the Ziyen Energy Division, with intent to produce oil in the U.S. with advanced extraction methods and technology implemented and guided by career experts in the oil and gas industry. In June 2017, Ziyen acquired the mineral rights to its first oil field in Indiana. The U.S. Securities and Exchange Commission (SEC) qualified Ziyen Inc. under Tier One of Regulation A+ in Oct, 2016. Ziyen plans to go public to the markets with an IPO targeted for early 2018. Certain statements in this press release including, but not limited to, statements related to anticipated commencement of commercial production, targeted pricing, performance goals, and statements that otherwise relate to future periods are forward-looking statements. These statements involve risks and uncertainties, which are described in more detail in the Company’s periodic reports filed with the SEC- specifically the most recent reports which identify important risk factors that could cause actual results to differ from those contained in the forward-looking statements. Forward-looking statements are made and based on information available to the company on the date of this press release. Ziyen Inc. assumes no obligation to update the information in this press release.